The PICK of the peach stands, Abbott Farms of South Carolina is where you'll find the freshest and tastiest produce and more. Drop in any of our six family-owned markets for oven-baked breads, chow chow, jams, jellies, famous fruit ciders, relishes, salsas, syrups and more, including fruit baskets and gift items. Not in the neighborhood? Order online, anytime. We ship coast-to-coast and deliver fresh from our store, right to your door! From a roadside stand to six fully stocked markets. It all started back in 1955 when our grand folks opened a tiny peach stand on a two-lane country road in hopes of earning enough extra money to buy one of those new TV sets that were all the rage. 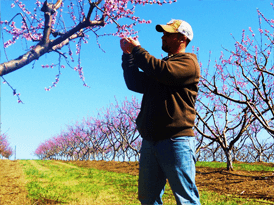 Word of their tasty, tree-ripened peaches spread quickly, and so did Abbott Farms' variety. Local-grown and mornin' picked melons and vegetables were soon added to the assortment, as well as a pantry’s worth of chow chow, jams, jellies, pickles, peanuts, pecans, salsas, syrups and local honey. 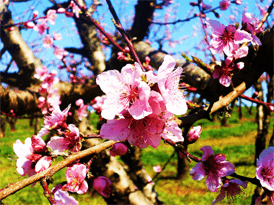 So satisfy your thirst, try some of their famous ciders made fresh each season with South Carolina's finest peaches, strawberries, blueberries, blackberries, muscadines and scuppernong grapes. Of course, as the selection grew, Abbott Farms did, too. Still family owned and operated, our six markets along I-85, I-95 and I-26 are satisfying the tastes of those traveling through or livin' in South Carolina’s Spartanburg and Cherokee counties. Stop in for some free samples whenever you’re in our neck of the woods. 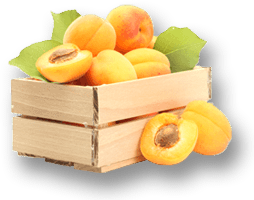 By and by, we opened an Abbott Farms online store, too, and soon began shipping our fresh, delicious peaches and gift items to people from coast to coast. In store, online or as a lucky gift recipient, it doesn’t matter how you get your Abbott Farms products. All come with a 100% Satisfaction Guarantee so you can enjoy ‘em with confidence and know you’re getting the finest, freshest, tastiest items this side of South Carolina! Interested in working at Abbott Farms? Apply today. You've come to the RIPE place when you stop into one of our six Abbott Farms markets! Here, you'll choose from spring and summer's freshest fruit and produce. You couldn't PICK a better season to visit one of our family-owned Abbott Farms markets for autumn and winter's bountiful harvest of delicious fruits and vegetables. Get a $15 assortment FREE any day when you buy $50 worth! Get a $30 assortment FREE any day when you buy $100 worth! Get more bang for your buck at all six Abbott Farms locations, where you’ll find a super selection of Red Star fireworks all year-round. Celebrate with aerials, cones, firecrackers, fountains, missiles, rockets, roman candles, sparklers and more – including 12 brands of 500-gram fireworks. At great prices, too. As one of the South’s largest fireworks dealers, our buying power often blows away the others! Please be certain to read and follow all safety instructions that come with the fireworks. Follow your local and state laws regarding the possession and use of fireworks, and use good common sense when using fireworks. Read all directions, cautions, labels, and warnings on each individual firework item to understand the product performance and hazards associated with the use of the item. Use only those fireworks permitted under the laws of the state and local jurisdiction in which you are using the fireworks. Fireworks are NOT available for shipping; ALL fireworks must be purchased in a retail store. And the winners are ...anyone who samples one of these delicious peach recipes! 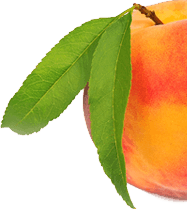 Abbott Farms is the proud sponsor of the Peach Dessert Contest at the South Carolina Peach Festival held annually in July in Gaffney, SC. Here are 2013's winning entries for peach desserts, as well as other great recipes using our tasty, tree-ripened peaches! Please click on each recipe to read and/or print it. Like to enter the Peach Dessert Contest at the South Carolina Peach Festival sponsored by Abbott Farms? 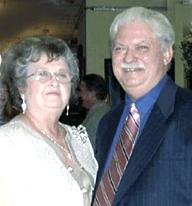 Click here to download an entry form. We're easy to find; there's a market near you. Visit us at any of six convenient locations in the Palmetto State. Cherokee County, SC 800-764-0076 I-85 at Exit 92: 103 Peachoid Road, Gaffney, SC 29341 Get Directions Florence County, SC 800-764-0076 I-95 at Exit 157: 3810 Bancroft Road, Florence, SC 29501 Get Directions Spartanburg County, SC 800-764-0076 I-26 at Exit 22: 1980 Reidville Road, Spartanburg, SC 29301 Get Directions I-85N at Exit 83: 291 Bud Arthur Bridge Road, Cowpens, SC 29330 Get Directions I-85S at Exit 83: 155 Truck Stop Road, Cowpens, SC 29330 Get Directions I-85 at Exit 75: 109 Sloane Garden Road, Boiling Springs, SC 29316 Get Directions Summer Hours are Monday-Saturday 8 a.m.- 8 p.m. Seasonal hours vary. Please call 1-800-764-0076 for current hours. Call 800-764-0076 or email us by completing and submitting the form below.